Born in Sicily from a highly musical family. In 1819 at the age of 18 he began studying in Naples. After his first successes he spent the majority of his productive years in Milan (1827–33) where he showed the taste for social life and the dandyism. He died from sickness in Paris at the age of 33. 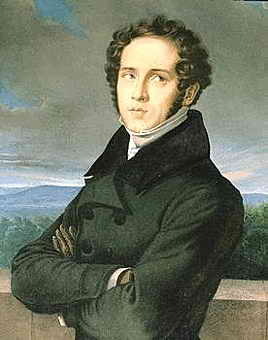 Bellini is recognised as one of the leading composers of the bel canto style of opera.